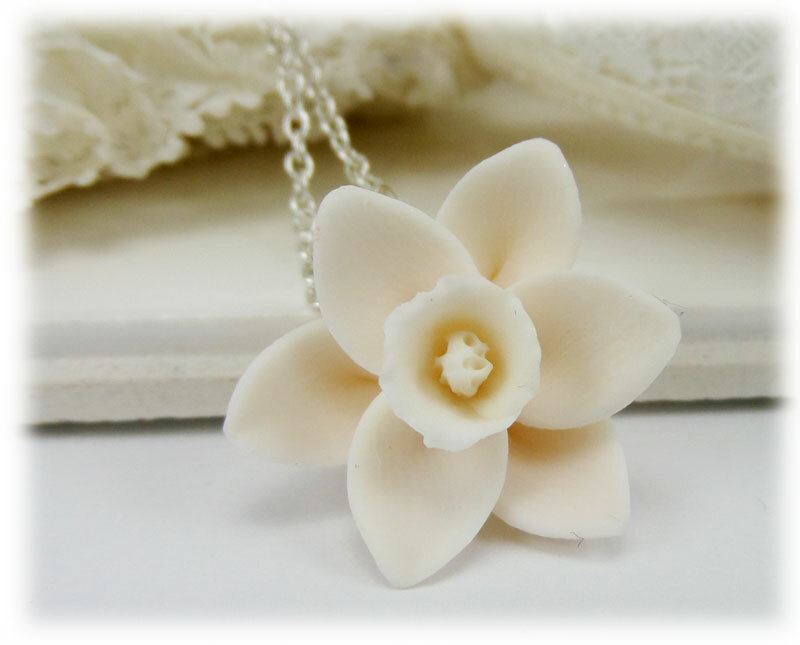 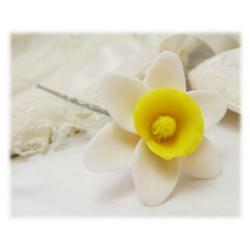 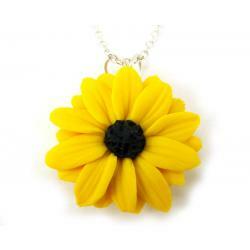 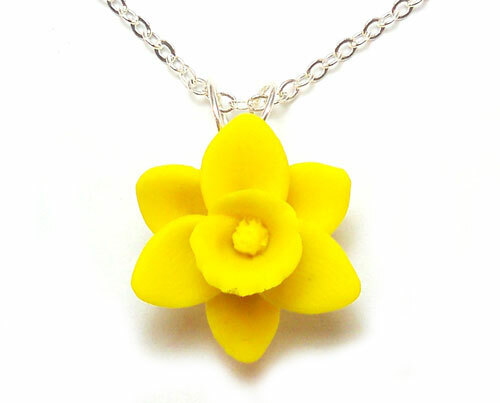 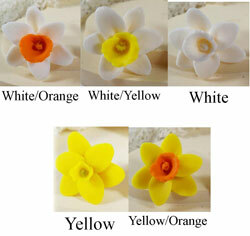 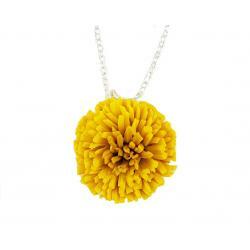 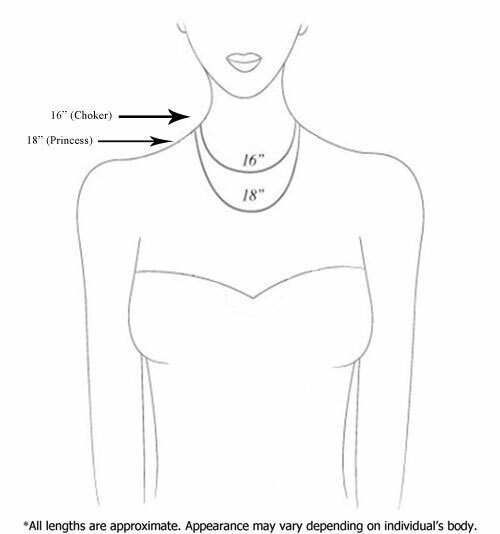 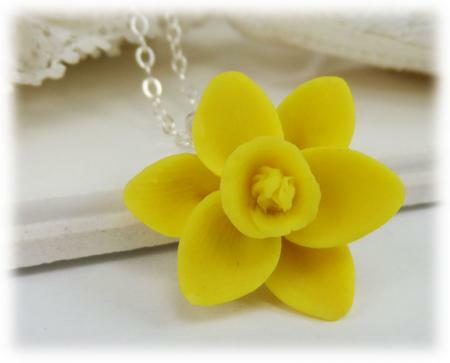 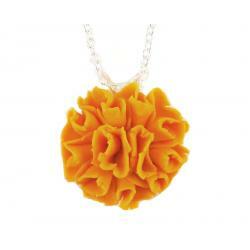 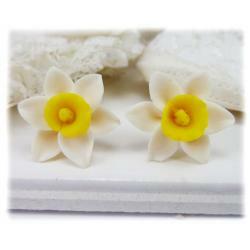 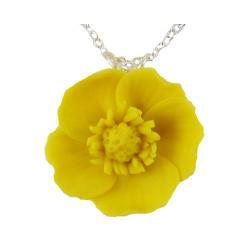 Petite 2cm Daffodil flower necklace approximately handcrafted and available in assorted colors and components. 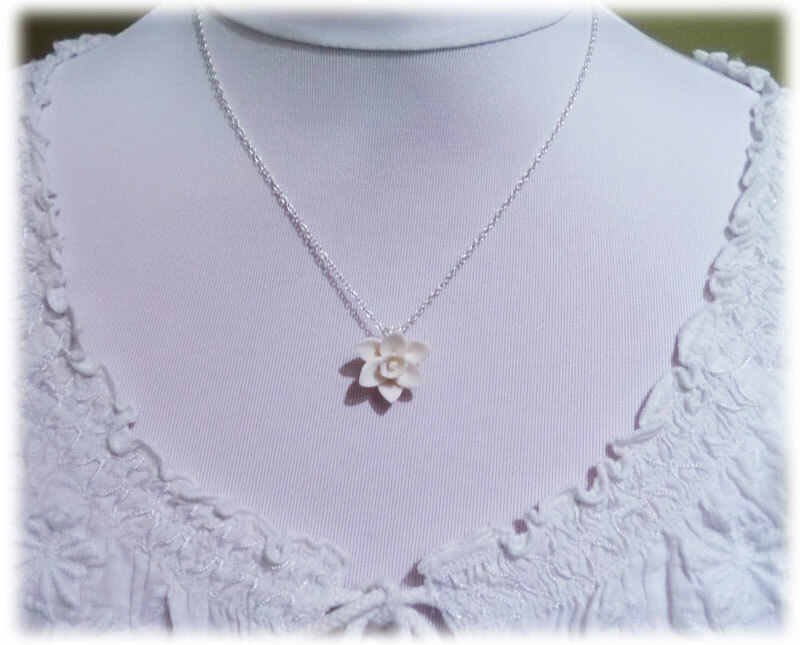 Hand wired bail with matching cable chain. 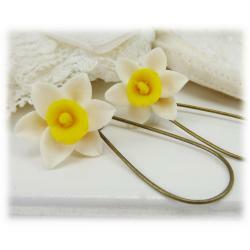 Choose silver gold or antique brass.